Capture those sweet little hands & feet on a platter, plate, vase & more. We can help you create it yourself or we can do all the custom work for you. We have great ideas & samples in our studio. Bring your kids in, stamp their hand and any piece you choose and we will do the rest for you. 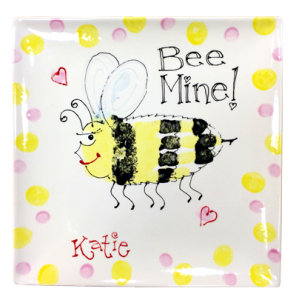 These keepsakes make a great gift for grandparents, teachers, loved ones or for yourself. Mother’s day, Father’s day, Valentine’s, Christmas…a perfect gift for any occasion. Order by February 1st for Valentine’s Day Pickup! !